A pseudo- concrete representation of a sales price problem is shown below. This is what I use as an entry point for teaching these problems. What remains is 75% or $60. This is the “new price” which is called the sales price. Simplifying expressions (see photo below) is one of the most challenging algebra tasks for many students receiving special education services. A major problem is that it is typically presented as symbol manipulation…addressed in very symbolic form. My approach is to make math relevant and more concrete. Below is a scaffolded handout I use to help unpack the concept. In the handout I start with items the student intuitively understands, tacos and burritos or tacos and dollar bills. In the top left of this handout the student is asked how many tacos he or she has. 3 tacos eventually is written as 3T. See next photo to see how the handout is completed as NOTES for the students. As I work with the problems below I remind the student that the “T” stands for taco so “3T” stands for 3 tacos. This takes the student back to a more concrete understanding of what the symbols mean. To address negatives I use photos of eating a taco or burrito. “-2T” is eating 2 tacos. So “3T – 2T” means I have 3 tacos and ate 2. I have 1 taco left… 1T. For students who may need an even more concrete representation, use actual tacos or other edible items. I introduce solving equations by building off of the visual presentation used to introduce equations. The two photos below show an example of handouts I use. Below these two photos I offer an explanation of how I use these handouts. First I develop an understanding of a balanced equation vis-a-vis an unbalance equation using the seesaw representation. I then explain that the same number of guys must be removed from both sides to keep the seesaw balanced. I then apply the subtraction shown above to show how the box (containing an unknown number of guys) is isolated. I explain that the isolated box represents a solution and that getting the box by itself is called solving. I use a scaffolded handout to flesh out the “mathy” steps. This would be followed by a regular worksheet. I extend the solving method using division when there are multiple boxes. I introduce the division by explaining how dividing a Snickers bar results in 2 equal parts. When the boxes are divided I explain both boxes have the same number of guys. The students are then provided a scaffolded handout followed by a regular worksheet. A Kahoot is an online and app quiz game that allows students to answer questions using a personal device (e.g. simulated phone in photo above). The teacher can create the questions (e.g. example question I created in photo above). My approach is to use a Kahoot to scaffold learning. In this post I use plotting points as an example. I start with simple questions, e.g. identify the letter and number coordinates for the dog and chick below. Notice in the top photo below that I provide the actual coordinates in question 1 (“for the dog C4”) as a scaffold to show the students what to do. Then I show numeric coordinates for a point, but only with positive numbers. Eventually I present problems that address all 4 quadrants and ask questions about the parts of the coordinate plane (photo bottom one, below). Notice that the questions have times (in seconds). This indicates the time allotted to answer each question (teacher sets this). For students with special needs I print a hard copy to allow them more time to read the question. If necessary, they can respond by circling the answer on the handout. 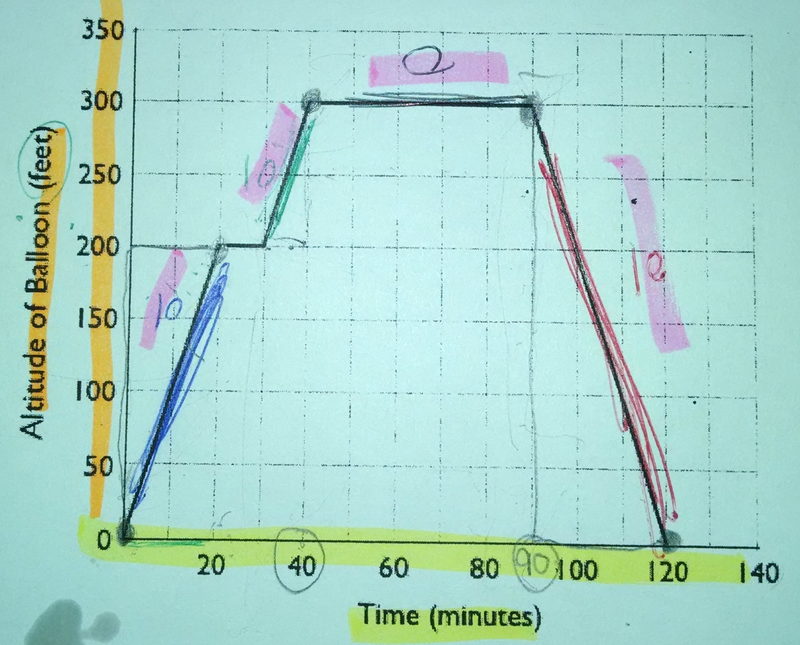 The photo above shows a scaffolded handout to break down elapsed time for a student. The problem is divided into 3 parts: time from 10:50 to 11:00, time from 3:15, time from 11:00 to 3:00 (see photo below). This is based on how we may compute elapsed time by focusing on minutes then on hours. Notice the 3 clocks (in photo above) with no hands which allows the student to engage the clocks by having to determine and show how many minutes passed, e.g. 10:50 to 11:00. The final answer would be 4 hours and 25 minutes. 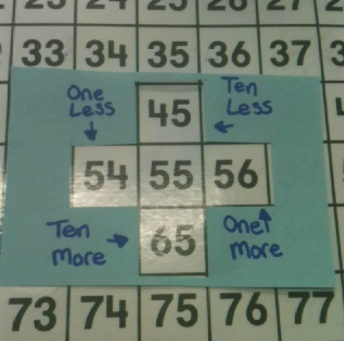 The photo above shows a screen for a hundreds table was shared by one of my students in a Math for Children graduate course. She found it on Pinterest for use a class presentation. I love this idea and came up with some revisions I think can make it more effective. It seems to me that this screen may be too busy with 4 different numbers showing. Additionally, the view of the other numbers outside the screen could be distracting. Below are a couple revisions I would suggest. Slope is the rate of change associated with a line. This is a challenging topic especially when presented in the context of a real life application like the one shown in the photo. The graphed function has different sections each with a respective slope. Before having students find or compute slope I present the problem as shown in the photo above and discuss the meaning of the different numbers. 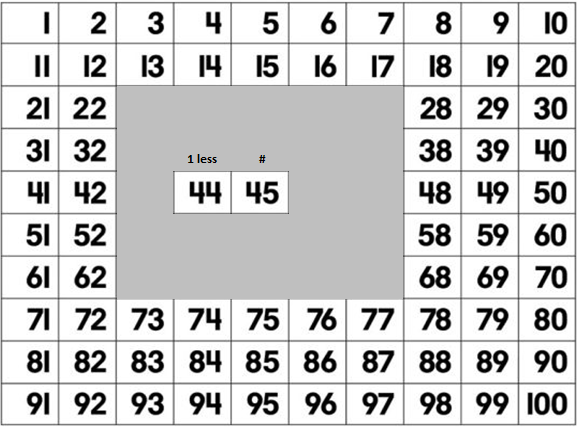 What I find is that students get the different numbers confused and teachers often overlook this challenge. This approach is part of a task analysis approach in which the math topic is broken into smaller, manageable parts for the student to consume. Once the different types of numbers are established for the students we can focus on actually computing and interpreting the slope. 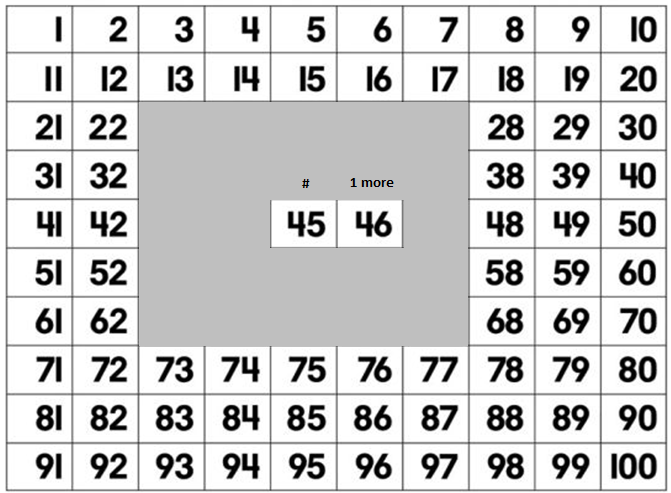 This instructional strategy is useful for all grade levels and all math topics.